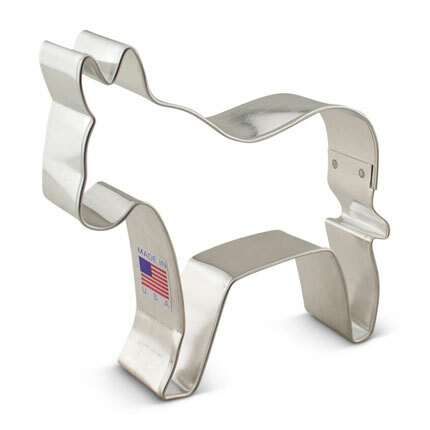 Amuse your liberal friends, and maybe even win over a few Conservatives, with the 3 3/4" Democratic Donkey Cookie Cutter. Whether you're making Democratic Donkey Cookies for a debate-viewing party or just because, this is a shape that is bound to be enjoyed. It is also great for campaign events, fundraising and political rallies. 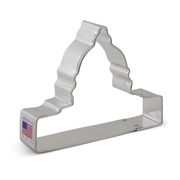 » Response from Ann Clark Cookie Cutters: We are very sorry that your cookie cutters rusted. 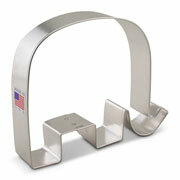 They are made from tin plated steel and we recommend hand washing and drying immediately after use to prevent rust. They are not dishwasher safe. ALWAYS happy with my Ann Clark cutters!